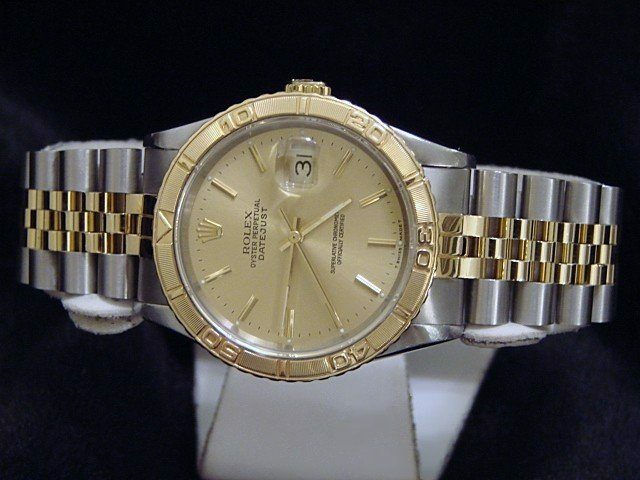 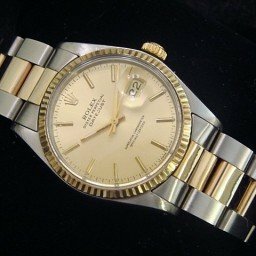 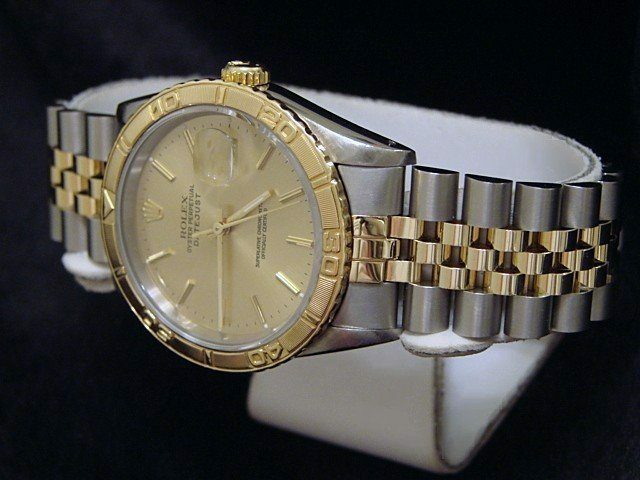 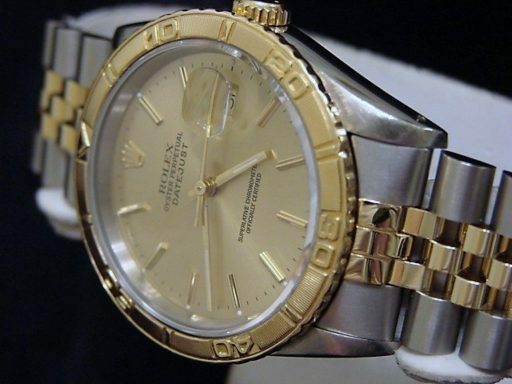 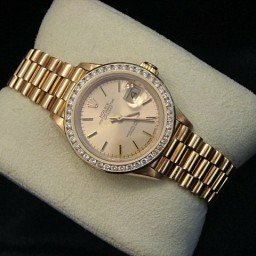 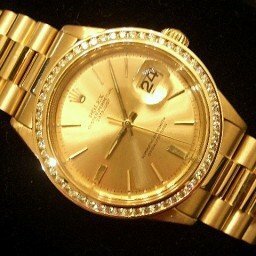 Dial Rolex gold champagne Rolex dial with raised gold stick markers is in excellent condition. 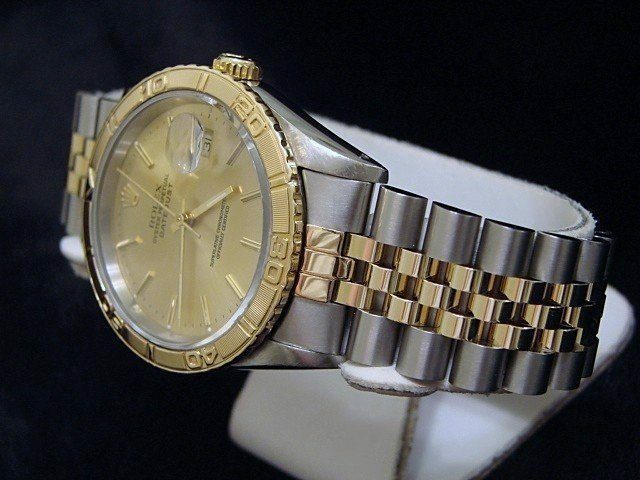 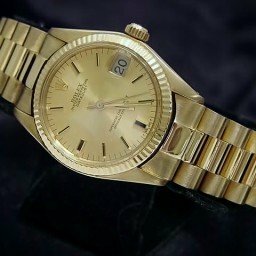 Bezel Rolex 18k yellow gold “turn-o-graph” with special bark finish bezel is in pristine condition. 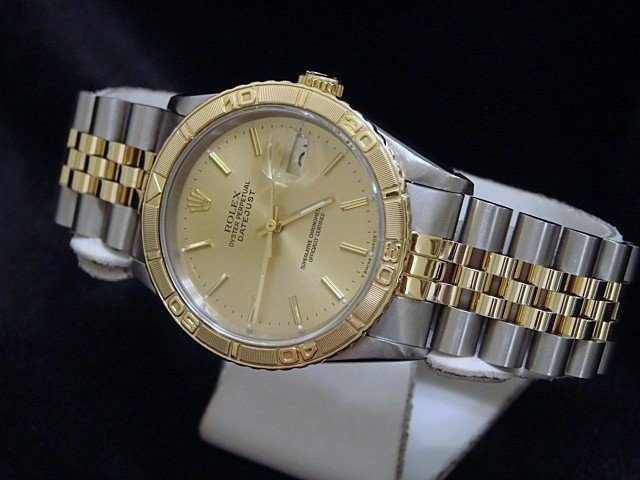 This is a very rare limited production bezel. 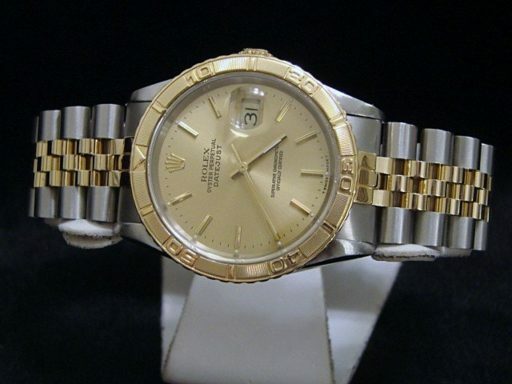 Band Brand new 2tone 18k yellow gold & stainless steel jubilee bracelet with plain (no Rolex markings) clasp is in pristine condition. 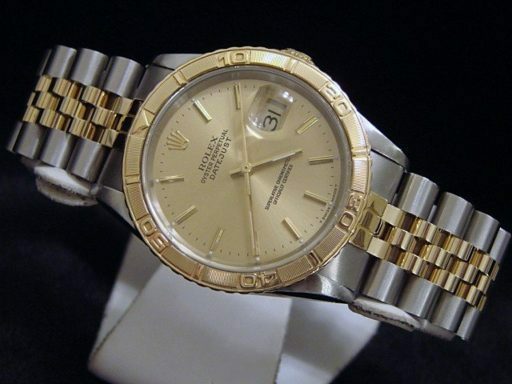 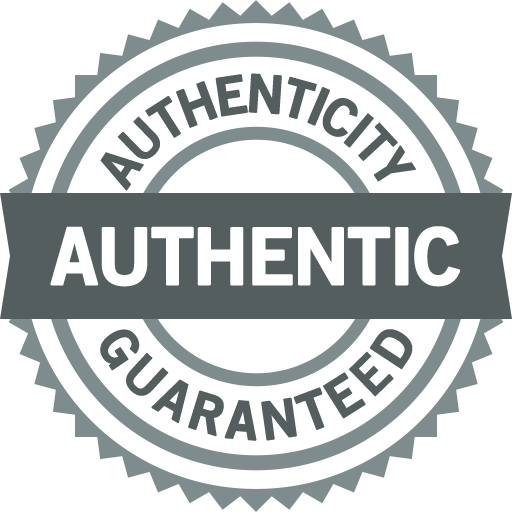 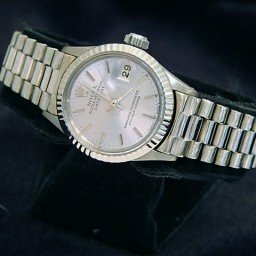 The bracelet is not made by Rolex as it is an aftermarket bracelet of the highest quality.